Lladro I Love You Truly. Size: 14.25". Bride & groom with their first dance on their wedding day. Lladro creations are celebrations of life. They reflect our emotions, our joys, our beliefs the experiences close to our hearts. 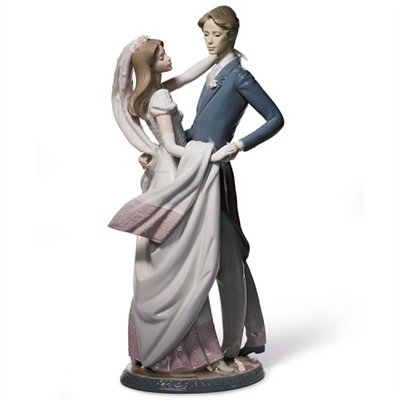 This is the Lladro circle of life, offering a great variety of subjects and themes, all originating in feelings that inspire each Lladro figurine.